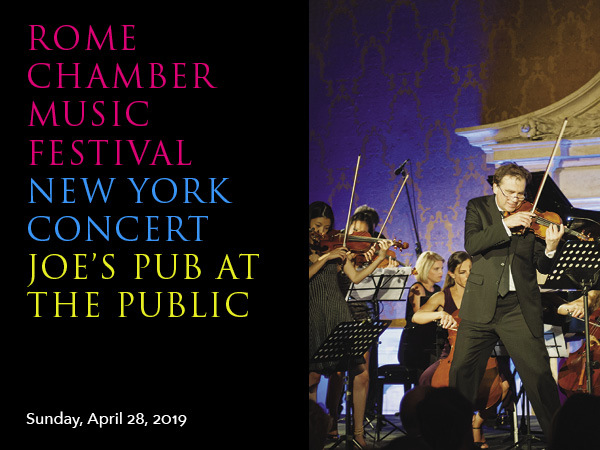 On Sunday, April 28, 2019, the RCMF will host a festive evening of cocktails and a concert to benefit its Young Artist Program. Robert McDuffie will be joined on stage by violinist Annie Fullard and past participants of the festival’s young artist program to perform Mendelssohn’s Octet for Strings. Tickets begin at $300 and include an invitation to the pre-concert cocktail party and the champagne reception following the performance. Seating is limited for this intimate event.